Solid-state ion conductors have not only recently become a suitable replacement for existing electrolyte or cathode materials in lithium ion batteries but are also of interest for the development of sensors or photochromic devices. Due to problems concerning energy density, safety, and cost of components the extended use of the known materials is not possible for larger systems like in electric vehicles until further improvements are made. Charge transport in the studied substances is mainly driven by the motion of ions which are able to diffuse almost freely through the crystal's structure. This process can be well interpreted in terms of a site-to-site thermally activated hopping motion. Insights into the dynamical characteristics of the ions on a microscopic level are of major interest to understand and optimize physical properties focusing on enhanced conductivity. 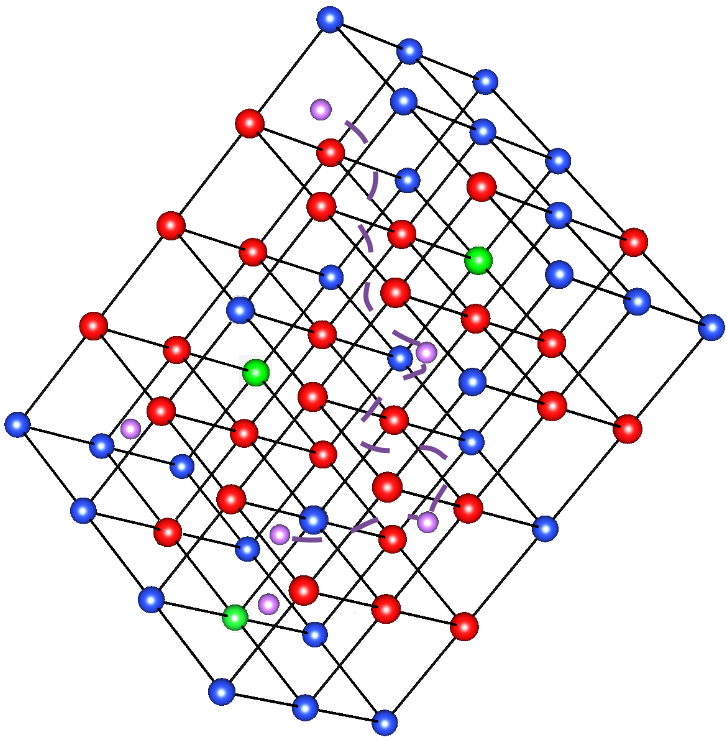 In our group we study the motion of protons or deuterons as well as lithium, sodium, and silver ions in particular crystalline and glassy materials by applying nuclear magnetic resonance spectroscopy. Well established methods from deuteron-NMR, e.g. relaxation time measurements, line-shape analysis, and two-time correlation functions are also applicable for spin 3/2 alkali nuclei and allow us to investigate the dynamics in a broad temperature range.